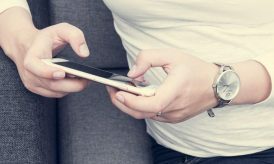 When smart phones hit the market people got really excited and a new term called ‘apps’ entered into the market right along with it. People could download any apps they wish. These apps became the source of entertainment, companions and mandatory accessories to many people around the world. Samsung is the stiff competition to Apple. 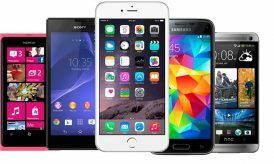 They started releasing devices that offered similar technology provided by Apple, but the only difference is it was offered at a lesser price. They started selling like hot cakes and then came the case that was filed by Apple on Samsung copying some of the technology. Though the verdict did not go in Samsung’s favor, the company is still going strong and they are still the arch rival to Apple. The ‘inspired by nature’ phone caused a wave in the technology industry. It listens, sees, responds and helps you to share the precious moments of your life. 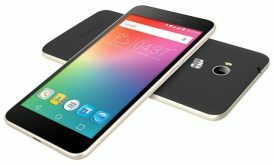 It offers a 4.8 inches Super AMOLED High Definition screen. Overall, it offers an excellent battery life backed by superb screen. it has top core speed and provides excellent media management. The only downside is it has a very subjective design (which can be overlooked) and the S Voice is not optimized. 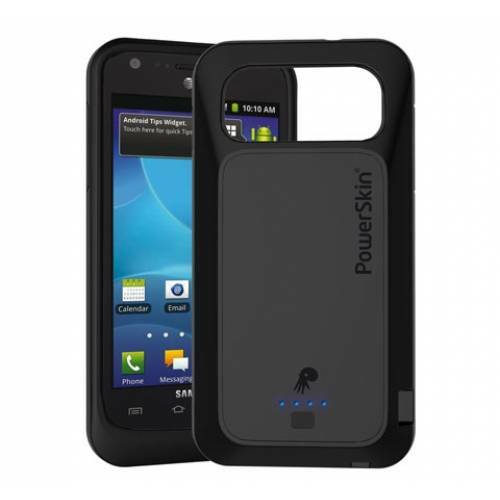 The latest buzz relating to Samsung Galaxy S3 is the new battery case PowerSkin has come up with for the phone. For those who just cannot be without the phone the whole day should buy this silicon case that offers built-in battery backup that offers dual functionalities. It can charge and sync the android phones and protect them simultaneously. Not just charging and syncing, it also enables NFC transmission. The case comes in black silicon. The case is a single piece made with silicon and fits the phone like a second skin. The battery part is sturdy and protects the phone from external wear and tear. The back and the side are made sturdy so as to provide excellent protection from damages. The top part of the case is softer and thinner so it is easy to remove or install the case. The silicone material gives a smooth feel to the case and it is surprisingly soft when you touch it. The battery connects to the phone through a small connector placed within the inner side of the phone. It is the most comprehensive phone case due to the cutouts and protective features available. The cut outs have been done perfectly and leave space to audio jacks, microphone holes, and for the camera. You will have absolutely no problems in connecting the headphone with the case on and the cutouts have enough space for the camera and the flash as well. The volume rocker and the power button are placed within the case. This makes it even harder to press the button by mistake on the phone when it is encased. This is a useful feature for those who keep pressing these buttons unintentionally. The PowerSkin contains a USB that charges the case and the phone at the same time syncs them simultaneously. You can charge using the phone charger or through the computer. The case also enables the NFC chip to function fully when your phone is in the case. The PowerSkin has 1500 mAh battery which can upgrade the talk time of the phone to up to 2 hours and over ninety standby hours. The battery takes a couple of hours to charge the case and up to four hours to fully charge the phone from 0%. The case contains LED lights denoting the power level. There is an on/off button indicating the the backup power in the LEDs and the battery can be turned on or off to conserve power. It is also built-in with some level of Artificial Intelligence. For example, when the battery is fully charged, the battery automatically turns itself off. It is a great add-on to those who require the extra battery backup when they are on the go. The battery is on the bulkier side. However, this can be overseen when compared to the functionalities it offers. In short, it is an excellent addition if you want more power and protection. If you are someone who is into looks, this is not the ideal case to buy! It is sturdy but not a fancy case. Next story Why Bloggers Fail to Make Money Online? George Webber is a Freelance writer for topics about Entertainment, Technology and the Internet.